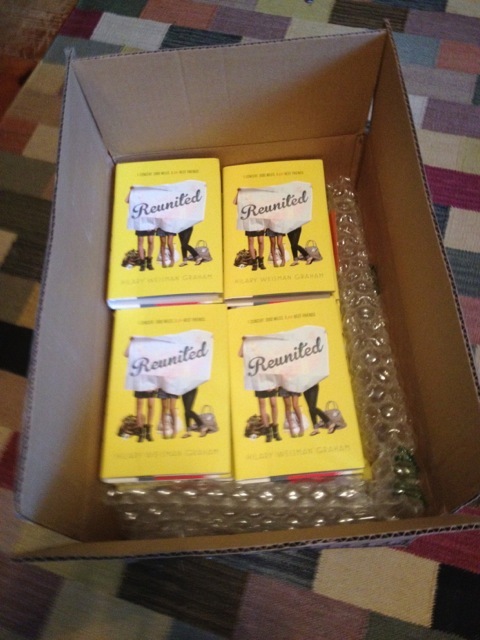 It’s Week 3 of the REUNITED Giveaway Extravaganza, which means there’s only 2 more weeks to go until REUNITED hits the shelves! Yippee! 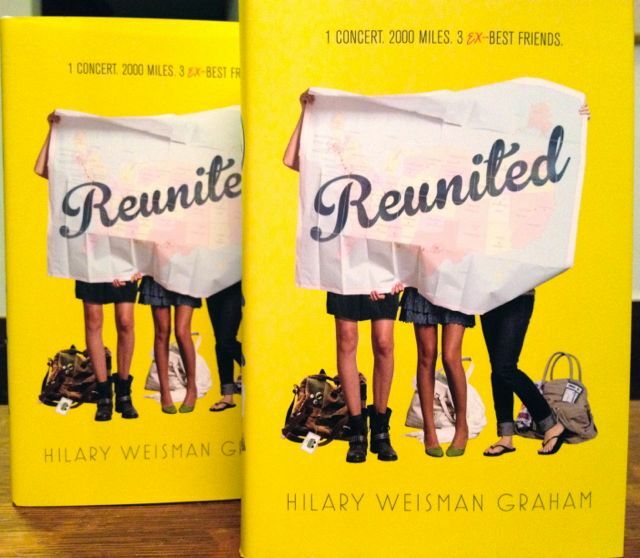 Last week’s winner — Samantha C. – walked away with two pre-release copies of REUNITED – one for her and one for Alisha, her BFF. Of course, I’m making the librarians at my local library buy a copy. 😉 Thank you Mary and Carol!!! 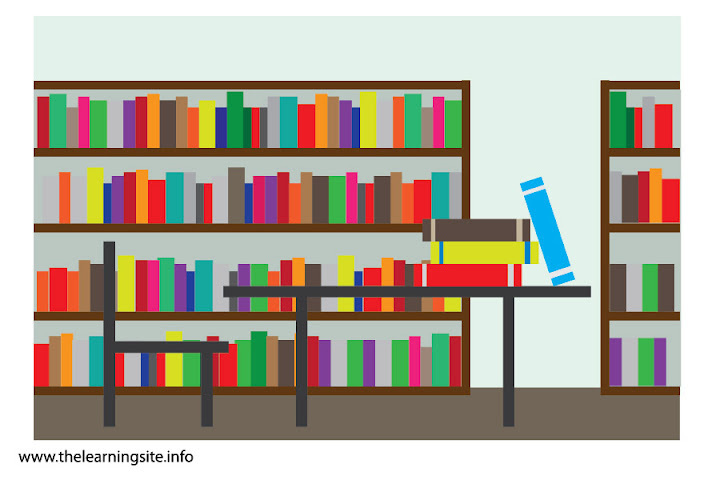 My favorite library, in stick-figure form. Giveaway Tuesday: Best Friends 4-Eva! 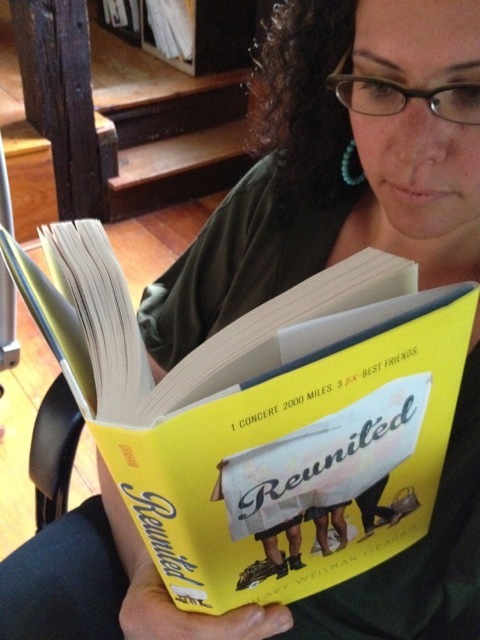 In just three weeks from today, REUNITED hits the shelves! So, in celebration of the final countdown, I’m hosting a giveaway a week. And each week, the prizes get bigger & better! 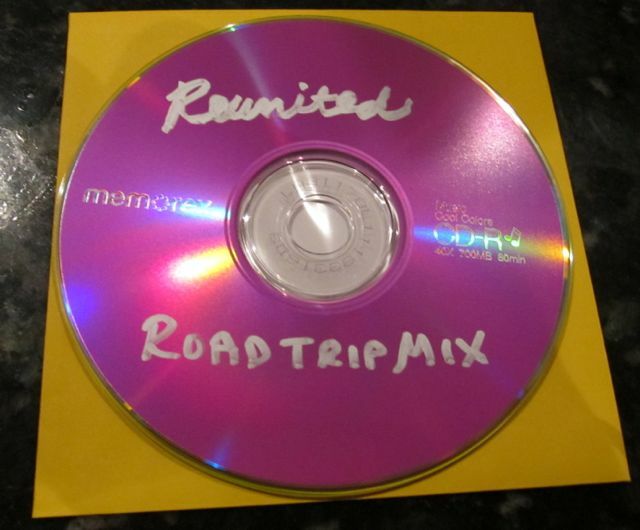 The winner of last week’s contest, and the proud owner of a REUNITED T-shirt, signed bookmarks, & a Road Trip Mix CD is… (drumroll please) aLmYbNeNr, whose favorite band to listen to on a road trip is Puddle of Mudd. The Runner Ups, who’ll receive signed REUNITED bookmarks and a Road Trip Mix CD, are Jasmine R.(A Room with Books) and Christina (A Reader of Fictions). Congratulations, ladies! I’ll email you for your addresses & prizes will be mailed soon. Now, on to the theme of this week’s Giveaway Tuesday: friendship. To enter, all you need to do is share your best friend’s first name in the comments section of this post, and one winner will receive not one, but two pre-release hardcover copies of REUNITED – one for you, and one for your BFF. You may share more than one friend’s name, but if you win, know that all 78 of you will have to share the two books amongst yourselves. 😉 Contest open to U.S. residents only. Good luck! Double your pleasure! Win one book for yourself, and one for a friend. Giveaway Tuesday: Road Trips Rock! 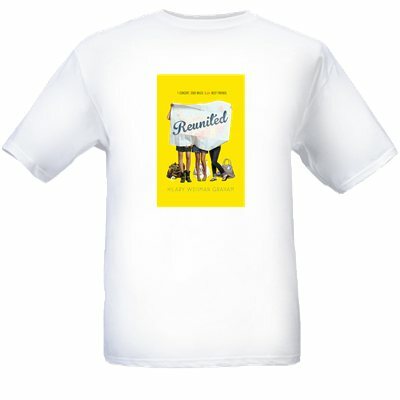 In just one month from today, REUNITED hits the shelves! So, in celebration of the final countdown, I’m offering four straight weeks of giveaways, either with a music theme, a road trip theme, or both! 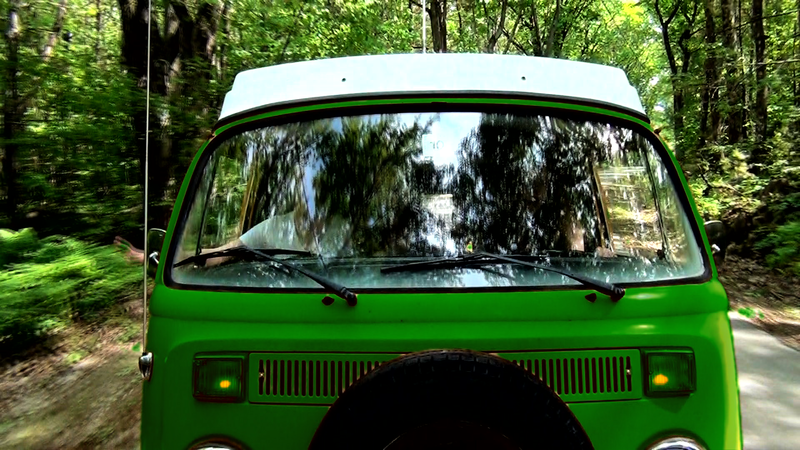 “The Pea Pod” – the ’76 V.W. camper van in REUNITED. Since Level3’s reunion show is the thing that motivates Alice, Summer, and Tiernan (ex-best friends) to hop into a van together and drive 2,000 miles cross-country, this week’s contest takes place on Level3’s website. 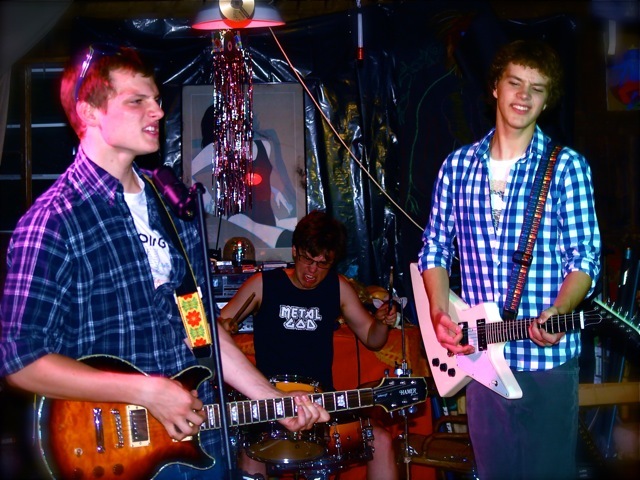 All you need to do is head on over to Level3theband.com and answer this question in the COMMENTS SECTION (of their blog or mine): If you were on a road trip, what band would provide your soundtrack? Winners will be announced here on May 22nd, when I reveal the next giveaway. Good luck! 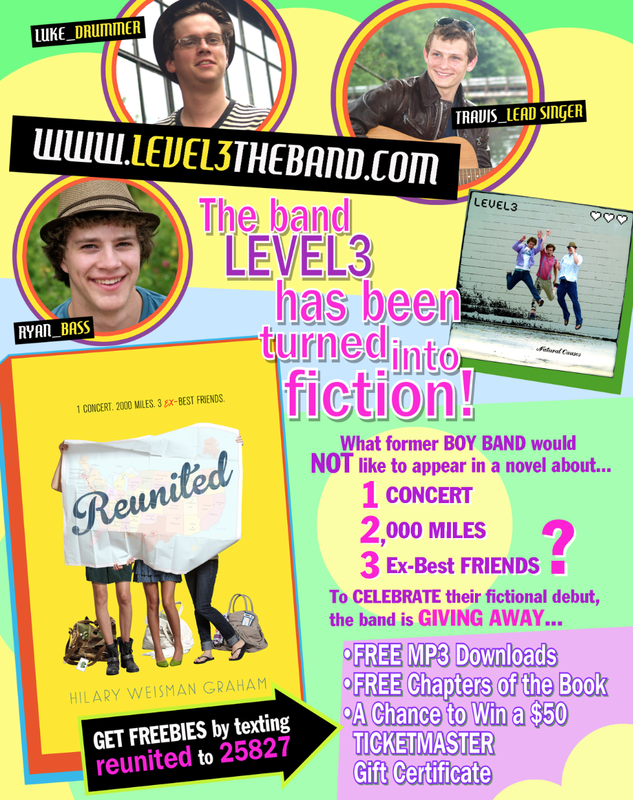 And while you’re at Level3’s site, don’t forget to download three free chapters from REUNITED and TWO FREE SONGS from Level3! Can’t a 40-Something Woman Read “Seventeen Magazine” in Peace? My husband frequently tools on me for reading SEVENTEEN and TEEN VOGUE, even though he knows I do it for work. As a young adult novelist and screenwriter who writes a lot of teen movies, it’s important to stay up to date with the teen culture and lingo. Which, as I often remind my husband, makes my subscriptions tax deductable. But the thing is, I’m secretly glad I have an excuse to read these magazines. And not just because I like to keep up with the fashion trends for Prom season. These magazines aren’t intended for me, but like unearthing a repressed traumatic memory, I believe they are healing the teen girl inside of me, the young me who flipped through their pages filled with self-loathing because she didn’t look like the models, no matter how much Clearisil and Noxema she slathered on, the girl who felt like a reject because didn’t have a boyfriend about which to fill out the ubiquitous Love Quiz at the end. Or, at least a boyfriend who wasn’t gay. I think there’s something very valuable in grown women (and men!) looking back on that time in our past when were first stepping (and mis-stepping) into our adult selves. As someone who writes about and for teenagers, I’m glad I’m able to use my own experiences to offer some wisdom to teenagers today. Below are some fun and entertaining resources for that rich and fascinating intersection of the adult and teenage worlds. Hope you enjoy them as much as I do! Presented by Nerdist.com and produced by the wonderful Janet Varney, this weekly, hour-long podcast features Janet interviewing popular actresses and comedians about their teen years. Hilarious, wise, and absolutely addictive! 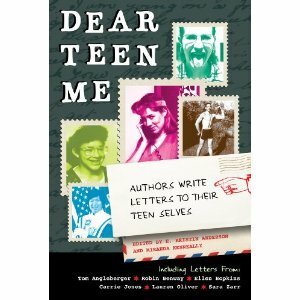 Dear Teen Me is a blog of letters, written by YA authors, to their teenage selves. And now, it’s a book, too! Read my Dear Teen Me post here, and peruse hundreds of others. So heartening. So 80’s. If you haven’t seen the movie, it’s worth checking out. Definitely the dark side of that strange phenomenon known as Grown-Ups Who Are Stuck in High School.